Brown coverlim collection box with a belt. Cream velvet interior. 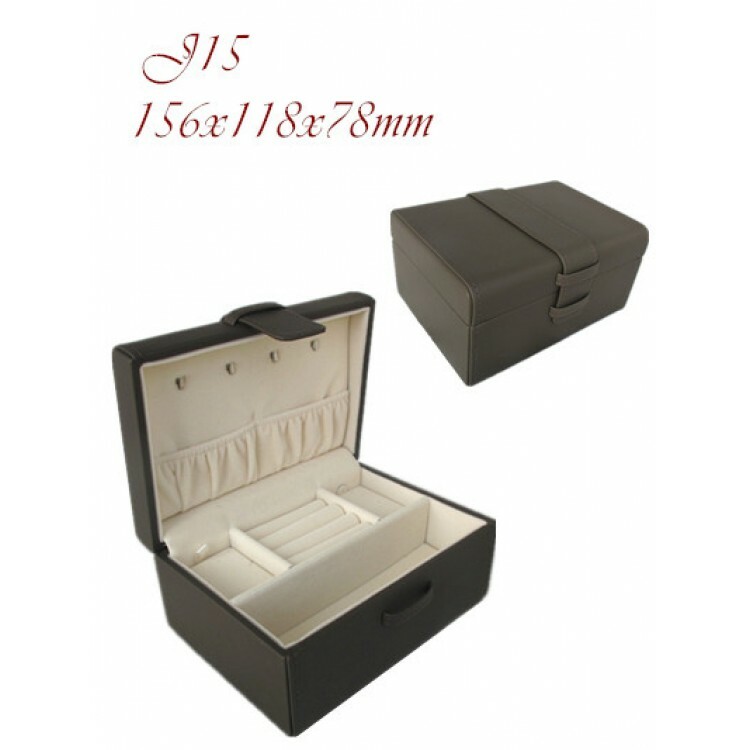 The inside top has hooks and pockets while the bottom has a multi-function insert for all kinds of jewelry.